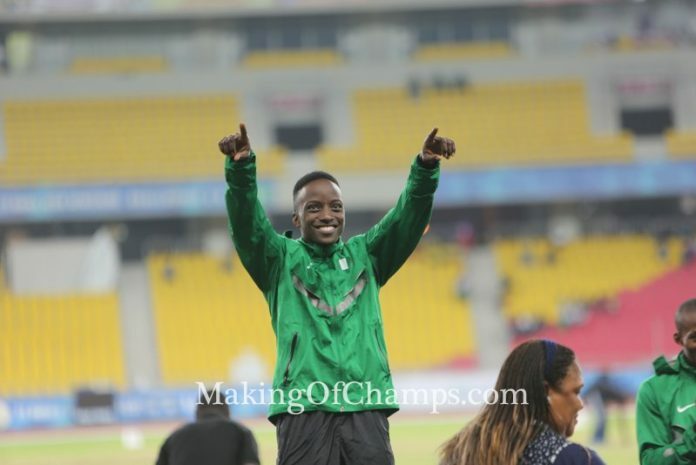 Olumide Olamigoke claimed his first National title, jumping to a Season’s Best (SB) of 16.70m to win the men’s Triple Jump on Day 2 of the Nigerian Trials at the Sapele Township Stadium in Delta State. The African Games Silver medallist became the favourite for the win after it was confirmed that multiple National Champion in the event, Tosin Oke would be absent at the trials. Incidentally, he achieved this winning mark twice in the competition, finishing ahead of Felix Obi who placed 2nd with an SB of 16.44m in his first appearance at the Nigerian Trials, while Kola Adedoyin maintained his Bronze medal position from last year with a distance of 15.19m. Olamigoke would be happy with this win after not making it to the podium at the African Championships in Durban where he finished 5th. In the women’s Long Jump, African Champion Ese Brume continued with her winning ways by regaining her title which she lost last year to Chinazom Amadi. The Commonwealth Champion leapt to a distance of 6.40m, which was recorded in her first and only jump at the competition. Sarah Ngo Ngoa of Cameroon was the surprise Silver medallist with a distance of 6.25m, while Mercy Abire won the Bronze medal with 6.14m. 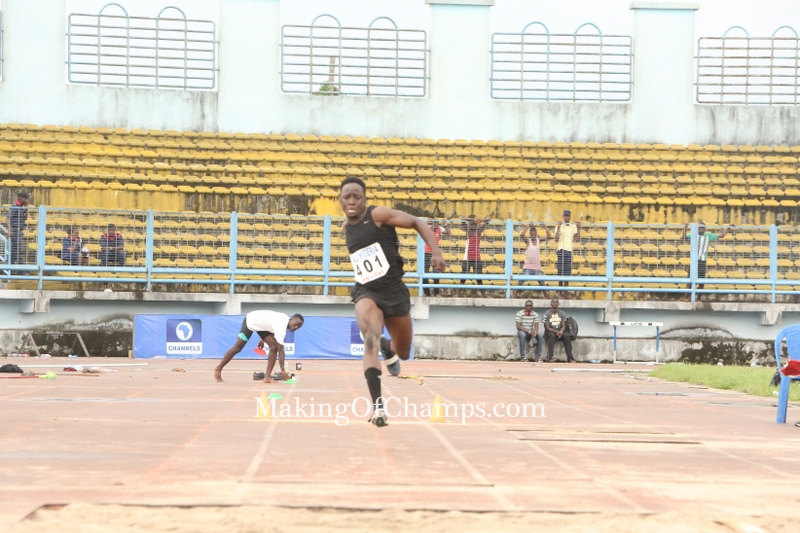 Meanwhile in the men’s category, Oluwayemi Blessing of SB Academy jumped a distance of 7.54m to win the GOLD. 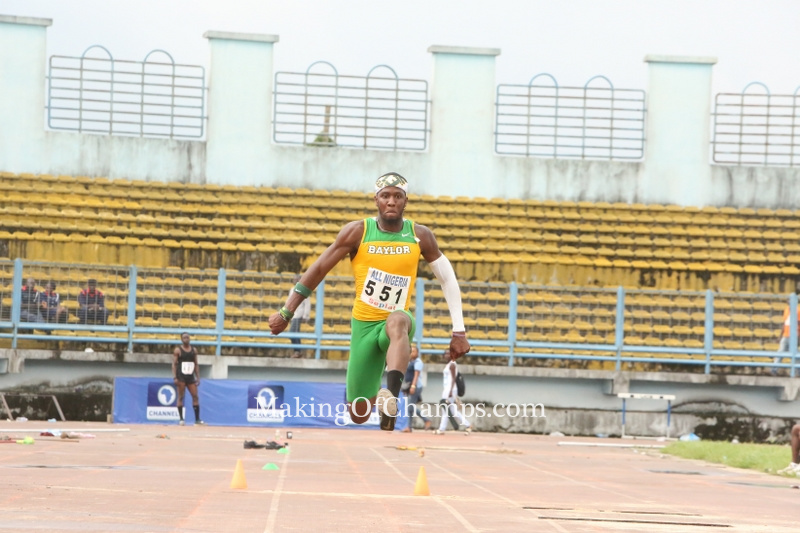 Oluwashola Anota won Silver with 7.47m, while Theddus Okpara settled for Bronze with 7.43m. Okpara improved the colour of his medal in the men’s High Jump, scaling the height of 2.10m to be crowned Champion. 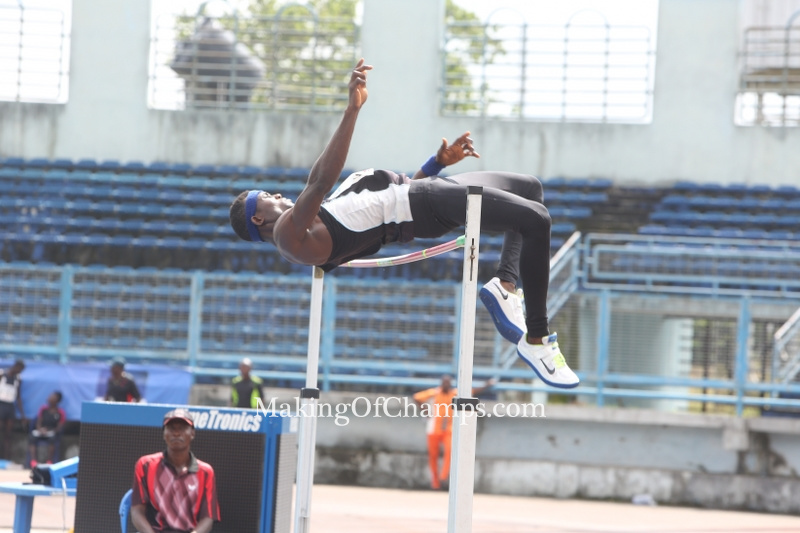 Obiora Arinze who jumped 5cm lower than Okpara’s winning mark was 2nd, while Cyprian Oyedele settled for 3rd position, clearing a height of 1.95m. 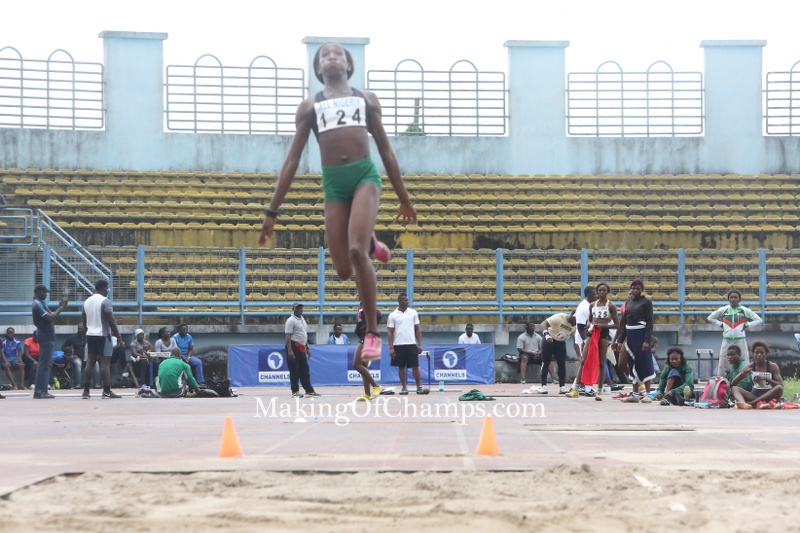 However in the women’s category, only three jumpers participated with Grace Anigbata taking the lead position with a height of 1.70m ahead of Esther Issa who cleared 1.65m. Blessing Ibukun Ibrahim was the woman to beat in the Triple Jump, leaping to a distance of 13.12m. Uche Brown won the Silver medal with 12.82m, while Mary Otuorah completed the podium with 12.77m.